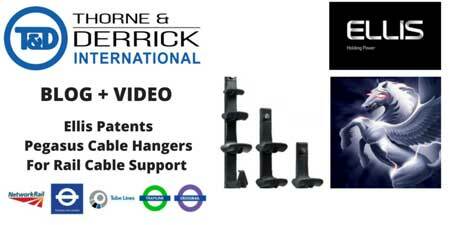 IEC 61914:2009 specifies requirements and tests for cable cleats and intermediate restraints used for securing cable in electrical installations. Cable cleats provide resistance to electromechanical forces where declared. This standard includes cable cleats that rely on a mounting surface specified by the manufacturer for axial and/or lateral retention of cables. Electrical design engineers and specifiers specify power cables from which the maximum anticipated short circuit load can be calculated. This data enables the calculation of the force between the cable conductors in a short-circuit situation - cable cleats installed to cable containment (whether cable tray, ladder or basket) are in turn specified at the correct spacing to contain potential short-circuit forces generated by the low/high voltage power cable system. IEC 61914:2009 provides a method for cable cleats to be short circuit tested so that results for different types of cleats can be compared. The cable cleat manufacturer should determine the fault level at which they wish to test their cable cleats. Video : Short Circuit 118kA Peak. Ellis Patents Emperor Trefoil Cleats subjected to short circuit test retaining 3 x single core cables to slotted rung cable tray. 1. There shall be no failure that will affect the intended function of holding the cable in place. 2. The cable cleats and intermediate restraints, if used, shall be intact with no missing parts (minor deformation is acceptable). 3. There shall be no cuts or damage visible to the outer sheath of the cable caused by the cleats or intermediate restraints. 4. There shall be no failure that will affect the intended function of holding the cable in place. 5. The cable cleats and intermediate restraints, if used, shall be intact with no missing parts (minor deformation is acceptable). 6. There shall be no cuts or damage visible to the outer sheath of the cable caused by the cleats or intermediate restraints. 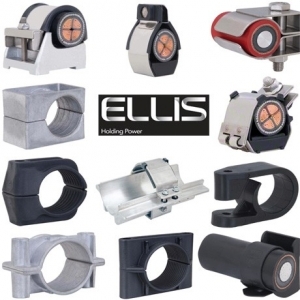 Ellis Patents cable cleats provide safety critical support to vital cable circuits. Cable cleats must withstand peak short circuit forces generated by the actual cable installation - Ellis Patents 3rd party certified cable cleats provide peace of mind containment of low and high voltage cables. 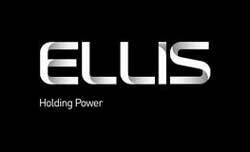 Ellis Patents are a leading voice in the campaign to have cable cleats reclassified as short-circuit protection devices. A move that would mean cable cleats would be placed on a parallel with fuses and circuit breakers. "This reclassification makes absolute sense. In the event of a cable fault, the forces between cables reach their peak in the first quarter cycle, which is the point that cable cleats earn their crust. In contrast, circuit breakers typically interrupt the fault after 3 or even 5 cycles by which time, if the cable cleats are underspecified, the cables will no longer be secure, but will be putting vital electrical installations and lives at unnecessary risk," says Paul Nolan UK Sales Manager, EP. T&D thank Isabelle Noury & Andy Booth (Ellis Patents) for supporting and contributing to our Blog. Video : Comparing Electrical Performance Of Stainless Steel Cable Cleats v Stainless Steel Cable Ties In Short-Circuit Test Situation.